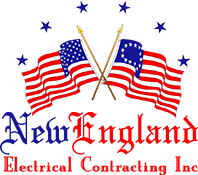 Computer and Data Wiring - New England Electrical Contracting, Inc. Setting up a home office? Looking for more connectivity in your home? The wrong type of wiring or installation could shorten the life of network components or damage sensitive equipment. A licensed electrician understands exactly how to wire your network properly. We will ensure the equipment is protected from power surges. Each data installation is carefully customized and tested to ensure optimal operation and safety. Hiring a professional ensures that when you push the button on your remote, the system responds as intended – every time. Installing a home theater also requires a wide range of components – from your television and audio-video receiver to DVD players, cable boxes and satellite receivers – to work in harmony. Hiring a professional ensures that when you push the button on your remote, the system responds as intended – every time. Call us today to install all brands of Home Theatre, audio, TV, DVR and other home entertainment equipment to bring you the finest quality viewing and listening available in home entertainment today.